is centered around the 75th precinct in New York City and tells the backstory of one of the largest police corruptions that took place in it from the early ‘80s to the early ‘90s. 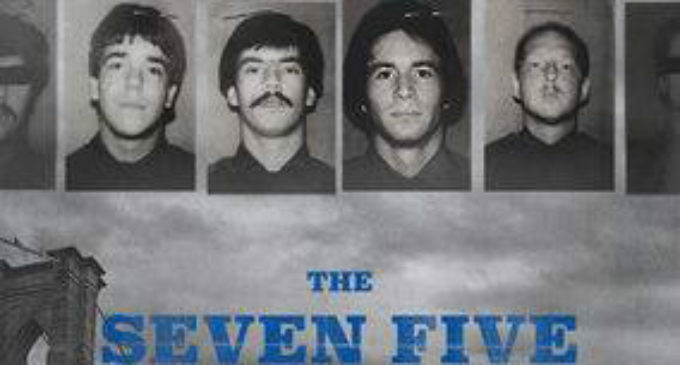 The film reminiscences on the crimes carried out by the sole perpetrator ex-cop, Michael “Mike” Dowd, his partner and other parties as they hail the streets of New York City. The engagement throughout the film brings you along the journey of Dowd through first-person interviews and evaluations of the illegal acts that were carried out by the men. The police-procedural television show format made the film more interesting without overdoing the actions and solely told the story and covered the questions and curiosities that I had going into watching it. Directed by Ava Duvernay, this documentary tells the story of the criminal justice system following the passing of the 13th amendment. Although the amendment abolished slavery, the film explores the portion of the amendment that states the exception of “involuntary servitude” in the name of a conviction of a crime. The film explores the unequal treatment of African-Americans in the criminal justice system and how society enables it. It examines the premise through interviews from people from the polarized sides of the political spectrum, activists and tells infamous cases of when it occurred. Not only does the film focus on this, but it touches on the business and societal obsession with incarceration which makes the film less one-track minded. “Maya Angelou: And Still I Rise” is a biographical documentary following the life of writer and activist Maya Angelou through her works, such as “I Know Why The Caged Bird Sings,” an autobiography and interviews with protégés of the writer. The recounts of archived videos and revisitation of adapted forms of the writer’s life bring you into the journey to the point where you feel you knew her or are getting to know her. The film also highlights the dark times in her life while keeping a sense of lightness and hope for Angelou as it proceeds. This documentary covers the representations of women in media and how the standards they are upheld to are problematic and brings a circular solution and generalization of how women are categorized. They argue that the standards that they deem as problematic are directly correlated with women not wanting to pursue a position of power. The film also highlights how media representations enable viewers and those leading the media to focus on certain things (looks, characteristics, etc.) when it comes to women versus how they would approach a conversation or event that involves men. “Hip Hop Evolution” is a docuseries that covers the adversities and journeys that hip-hop has taken. The series covers regional takes on hip-hop (west coast, east coast, south) and the underground culture that existed before the genre became available to a mainstream audience and how the underground world responded to this. It also highlights the country’s response to hip-hop both positively and negatively and how those involved in the genre challenged the norms culturally and how censoring hip-hop is problematic and violates free speech. It gives credit where credit is due while giving other pioneers from the ‘80s and ‘90s a chance to give their input on other artists that gave them a sense of style and helped shape their identity. The format of the film allows a sense of appreciation and respect that is not visible in the culture today. Featured Image: The Seven Five. Courtesy Facebook.